Today a dose of motivation from Kasia, whom I congratulate heartily. I’m proud and I’m enjoying your transformation and your new healthy path. “I had a long time coming up with the intention to write to you and show you my change thanks to you. This competition has only helped me take the first steps. My adventure with sports and diet started in mid-December when I came across some YT interview with you. You have inspired me so much with your naturalness, your joy and the fact that you are placing health in the first place, I decided that the next day I will quit smoking and take care of myself. It was a lot to take care of! I always had problems with being overweight, and at some point it has already entered the first stage of obesity. I have never felt good about myself, more than once I have experienced unpleasant words about my weight. So the next day I started practicing with you. At first it was very hard, but I did not give up, because I knew there was something to fight for. There were many ups and downs. But I loved working out with you and each training pushed me to a better version of myself. I also tried adjusting to your diets, then I also bought Diet by Ann and the effects slowly began to appear. 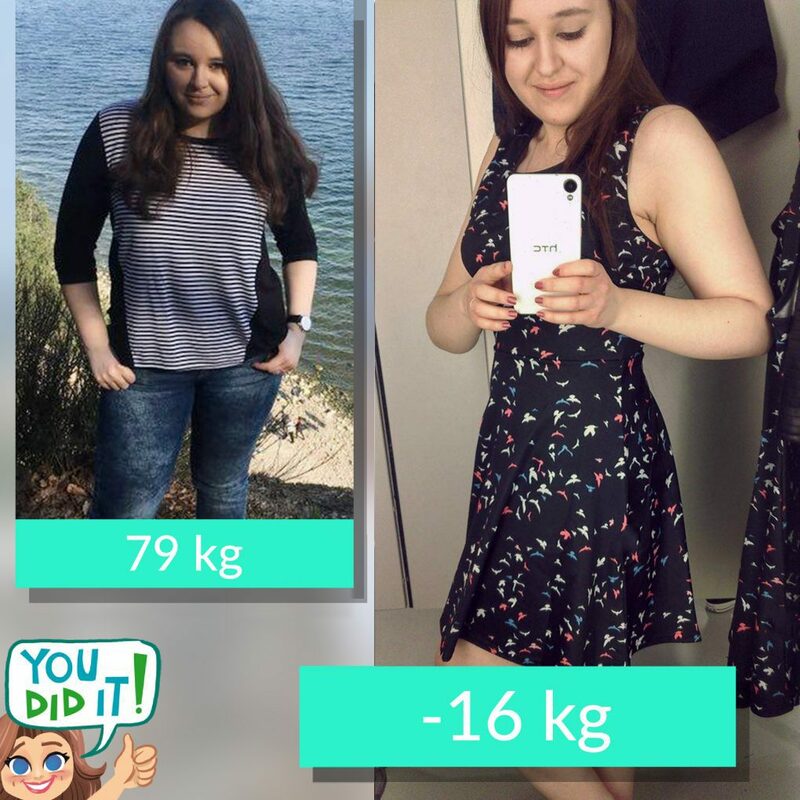 In a year and a half I lost 16 kg, gained a lot of self-confidence, a smile on my face (real one! ) better condition and the feeling that there is nothing impossible! Today my health is the most important and the silhouette began to change from the moment I stopped worrying about it. Everything starts in your head! I thank you with all my heart! It is great that there are people in the world like you who pulls others up! Best regards to you and the whole Diet by Ann team. It makes my mouth water just to think about those goodies! Is there anyone that doesn’t like pancakes? Luchbox – Ideas for the second breakfast to work, school, college. 5 ways. Today, I suggest green flowers for a snack :). People with thyroid problems, however, should parboil broccoli instead. As for all the others, I urge you to give blanching a try!